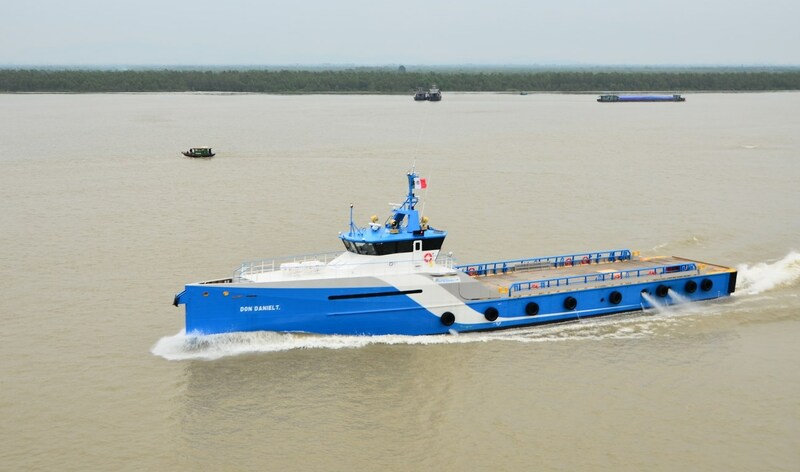 Home › Crew Supply Vessel › Fast Crew Supplier › Fast Crew Supplier 5009 › Fast Crew Supplier 5009 "Don Daniel T"
On November 27, 2013, the ‘Don Daniel T’ was handed over to Naviera Integral from Mexico. This Fast Crew Supplier 5009, the eighth vessel of this type to join the Naviera fleet, sailed on its own keel to Ciudad del Carmen and arrived in early January 2014. She was constructed in Vietnam and was delivered two days before the date that was agreed upon in the contract, which was signed in July 2013.